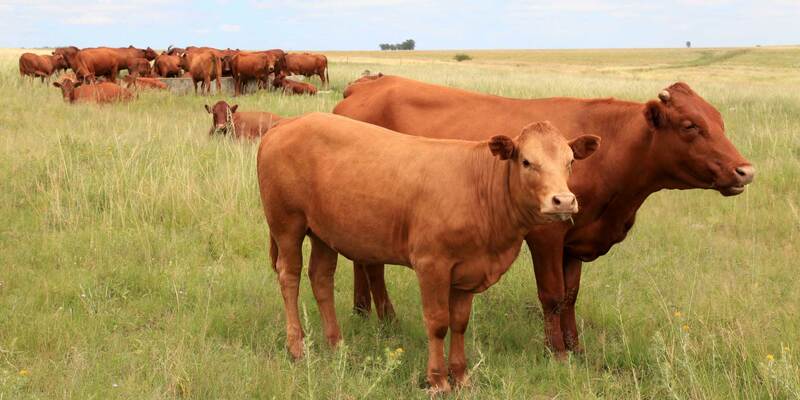 Will Organic Cattle Be Pumped Full of GMO Vaccines? We must act to maintain the integrity of organic standards! Action Alert! The semiannual meeting of the National Organic Standards Board (NOSB) will take place April 25–27 in Washington, DC. Because the NOSB makes decisions that, in large part, determine the future of organic foods (it’s the advisory board for the National Organic Program, or NOP), ANH-USA has been engaged with the board for some time. After reviewing the agenda, we noted two items of concern. As we reported last fall, the issue of removing GMO vaccines from organic production has been stalled for years. The stated rationale for NOSB’s inaction is the difficulty in distinguishing GMO from non-GMO vaccines, given the rapid pace of technological advancement. In its Spring 2016 meeting materials, the NOSB seems to be moving forward in establishing a more comprehensive definition of genetic modification. That’s a start—but still a far cry from removing GMO vaccines from organic production. The problem is that, even if an updated definition of “genetically modified” captures the various techniques used to create GMO vaccines, there is still likely to be great confusion among certifiers and producers as to which specific vaccines on the market were made using “excluded methods.” To address this issue, in 2012 the NOSB asked the NOP to help identify vaccines registered with the USDA as either “GMO” or “non-GMO.” The USDA stonewalled, saying that creating such a list would imply that there is something wrong with GMO vaccines. (Well, there is!) USDA also complained that inaccuracies in the list could create liability issues. This issue has been dragging on far too long. It is past time for the NOSB and the NOP to work collaboratively to ensure that vaccines created with “excluded methods” such as genetic modification are not allowed in organic production. That it is “difficult” to do so is no excuse. One of the primary functions of the NOSB is to create lists of materials and substances that are allowed or not allowed in organic production. One issue over the last few years has been exemptions for “inerts”—synthetic chemicals in pesticides that are considered to be “inactive,” even though, as we recently pointed out, many so-called inerts are actually very active and very toxic. As some pesticides are comprised almost entirely of inerts, it is especially important for these chemicals to be reviewed by NOSB in a timely manner and disallowed in organic production. Despite this urgent need, the NOSB has been dragging its feet for years when it comes to reviewing and ruling on the lists of supposedly inert chemicals—some of which are known endocrine disruptors. Following a change in how the EPA classifies inerts, the NOSB recommended the creation of a task force at its April 2010 meeting to work with the EPA to reevaluate and update its own list of inerts. Then, at its October 2010 meeting, the NOSB renewed its exemptions for inerts that were considered to pose minimal risk (EPA’s “List 4” inerts) until October 2017. In May 2012, NOSB recommended the same expiration date for inerts with an “unknown toxicity” level (EPA’s “List 3” inerts). It used to be that any exemptions from organic standards were set to expire, or “sunset,” on a specific date—unless they were reinstated by a “decisive” two-thirds majority vote of the NOSB. Now, however, it’s just the reverse: a synthetic material can be permitted to remain in an organic food indefinitely unless a two-thirds majority votes to remove it from the exempted list—and that’s a big problem. If the NOSB does not vote to allow inerts to be removed, they could stay in organic production indefinitely. One specific group of chemicals NOSB is reviewing are nonylphenol ethoxylates (NPEs). These may cause hormone disruption among other negative health effects. The NOSB should move swiftly and decisively to remove NPEs from organic production. Consumers often pay a high premium to purchase organic products to promote health and avoid the toxic pesticides and other contaminants that have come to characterize our industrial agricultural system. These consumers deserve an organic label that delivers on these promises and prevents companies from taking shortcuts, not one that is mired in crony capitalist deals. ANH-USA will be attending the meeting to deliver comments from our members. Click below to add your comment, and we will deliver them in person at the meeting. Action Alert! Send a message to the NOSB and the USDA, urging them to take concrete steps toward removing GMO vaccines and dangerous “inerts” from organic production, where they do not belong. Please send your message immediately.